Shortly after starting his nursing job at Mayo Clinic Health System in Red Wing, Chris Heesch was looking for a creative outlet outside of work. He’s found that, and more, in cooking. A few years ago, Chris Heesch was at a crossroads. 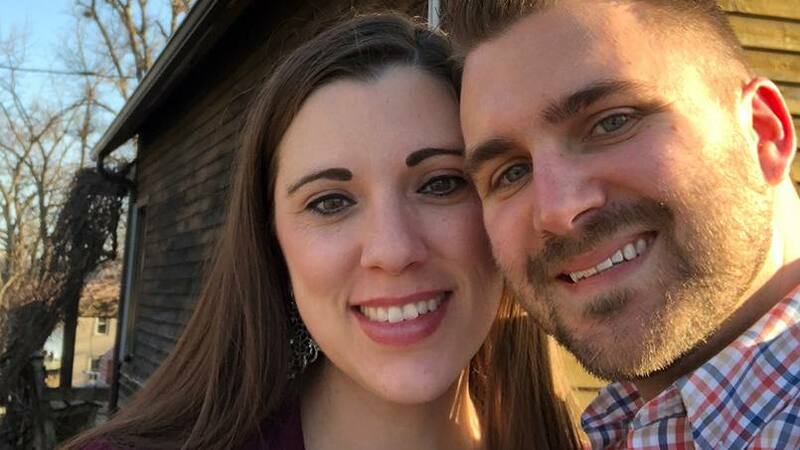 He and his wife, Nicole, had just started their nursing jobs at Mayo Clinic Health System in Red Wing, but soon Chris felt that something was missing. "By (the) end of 2015 my soul was shriveling because I wasn't doing anything creative anymore," Chris tells the Red Wing Republican Eagle. "My job (at Mayo Clinic) is very serious and it can be stressful at times and there's not a lot of room for creativity." Chris, a nurse manager in primary care, says that as he looks back he realizes that quote makes him "sound kind of dark," but tells us it's not off-mark. "I have a really creative mind and I just need some kind of creative outlet in my life," he says. So in January of 2016, the paper reports Chris took a day off of work to think about how he could channel his creativity. He found the answer in the kitchen. "I don't know that I can explain how I got there," he tells the paper. "I just made this decision, 'I'm going to get into cooking and I'm going to start an Instagram and just do it.'" Since then, Chris' passion for creativity has allowed his cooking to spill out from his own kitchen and into the lives of others, like the kids at Red Wing Youth Outreach, with whom Chris recently shared some cooking basics. "We made stir-fry," Chris tells us. "We looked at how you take fresh vegetables, cut them up, and make some sauces from scratch that are healthier without so many preservatives, along with the proper cooking temperature of chicken." Chris tells us he chose this creative outlet for the same reason he became a nurse. "I want to be someone that serves others, and someone who uses any skills, abilities and resources I have to help others," he says. "It was an extension of my job at Mayo because it's helping to support our local community." Chris continues to up his game in the kitchen. As the paper reports, he recently auditioned for (and nearly landed) a spot on an episode of Food Network's "Cooks vs. Cons." He's also now able to see that a creative parallel does in fact exist between his passion for cooking and the work he does for Mayo. "There's a lot that we do in health care that actually has an art to it," he says. "Just look at the patient experience, interacting with patients, interacting with each other, being a manager. There's a lot of art and a little dance in all of that, and cooking has helped remind me of that. It's been good to sew those two worlds back together again." You can read the rest of Chris' story here and follow his cooking adventures on Instagram here. Then cook something up with us by sharing your comments below before using the handy social media tools atop this page to share this story with others. Learn more about Mayo Clinic Health System.